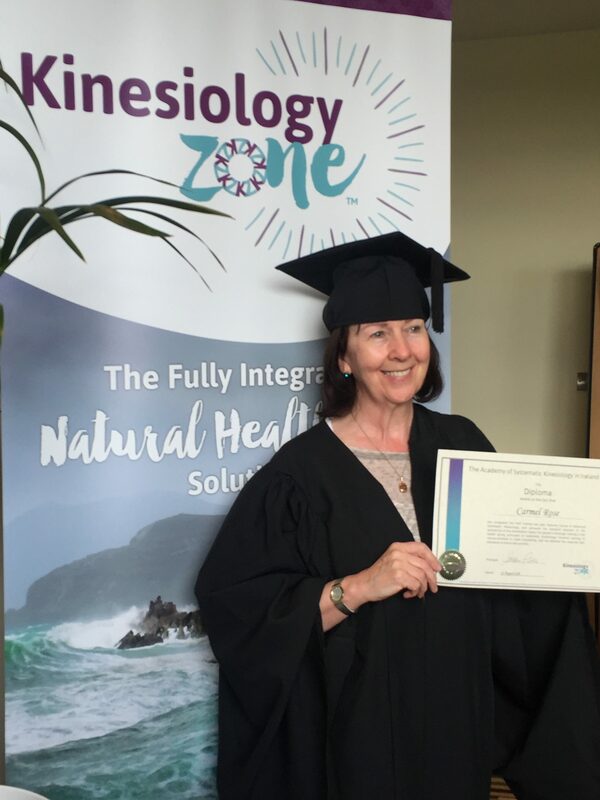 I came to Systematic Kinesiology having worked in complementary health as a practitioner/teacher of the Aura -Soma colour care system and also taught meditation, but always had an interest in learning more. My husband and I have run a health food store for the past 10 years with our clinics above the shop. The many interactions I had with customers coming into the Health Food Shop I realised they were seeking solutions for a wide range of health issues. One particular lady peaked my interest who seemed incredibly stressed about a list of foods she had been told to stop taking, and a list of supplements she had to start taking. Her being so stressed, I thought something was wrong about that, and wanted to investigate it myself. And that was when I found Systematic Kinesiology, and how their approach really resonated with me. Searching online, I came across the Balanced Health Course. Initially hesitant, I was concerned about having enough time to do it, (so much happened that year) but with a bit of encouragement, meditation and deep thought, I signed up to the start the course in Dublin. My husband said “if you start this, are you sure you’re going to finish?” And with a 100% guarantee, I said I would finish, no matter how challenging. I really wanted to help people more on a physical level. The first technique you learn on Balanced Health – called Emotional Stress Release was so wonderful. I couldn’t believe it could be that easy. I remember a client I saw in the early days, a farmer with a pain in his knee he’d had for over 10 years, and every night taking pain killers. He was sceptical at first but came to try it out, but with little expectation since he’d had been in pain for so long. After one session, he got back to me two weeks later and told me he was pain free. I was amazed because I was only starting the training and just did the basics, but his pain had gone. I was flabbergasted. And then just the other day, a new client was referred to me. She had night sweats, going through the menopause and sweating 2-3 times a day, was experiencing awful headaches for a year, even going for MRIs. After one session, she’s had no sweats and no headaches since. She’s has now referred clients. My business grows naturally like that. I love my job. I’m so delighted I did the Balanced Health Course and subsequently onto the Diploma professional training. I would recommend it to anyone who really wants to help others, help themselves too. So full of wonderful information and so easy because of the way it’s taught. Not an “academic” course, but full of practical information, loads of support, long lasting friendships, very special indeed. I continue to love working in the shop as it’s so interactive with people, I get to talk to them and some become clients and refer others. My clinic has become quite busy with regular and new clients mostly coming from referrals. If anyone has concerns about affordability, I am proud to offer my “Suzie Session”, in honour of my niece’s memory. It’s a donation box for clients who are stretched financially and they can use it to donate what they can. Carmel sees clients regularly, as well as being in the shop where she’s available for more information.